Beautiful! Can't wait to see the Hopscotch come together. 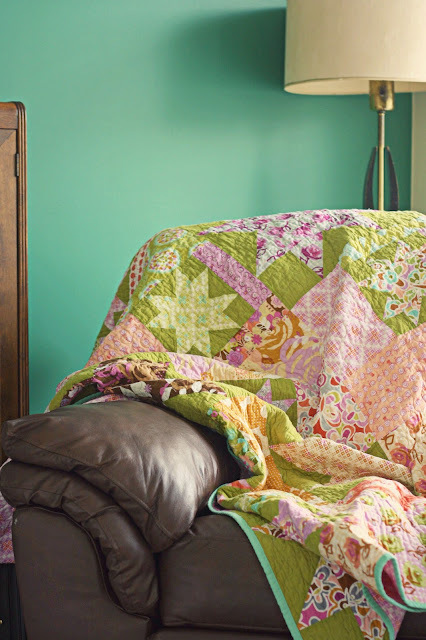 I like watching the My Precious Quiltalong and seeing how people are using their favorite fabrics. Very inspiring!! Lovely pictures too as usual, you are so talented! I've got some "Weekends" fabric that I've been saving/hoarding in my closet. That quilt is fabulous! 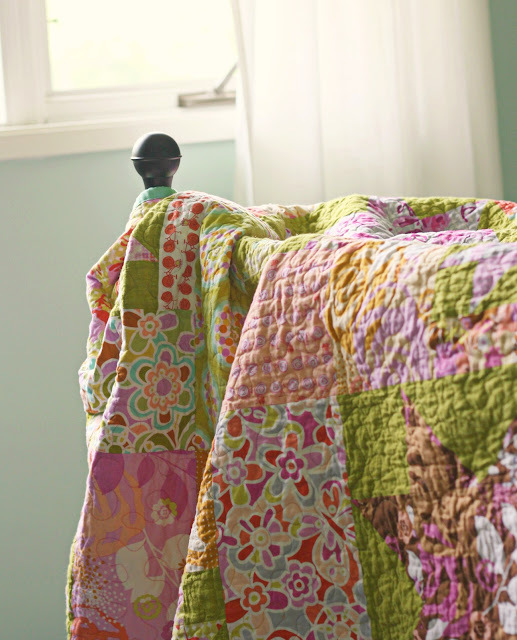 I love this quilt, Erin Mc Morris is one of my favorite quilt fabric designers. 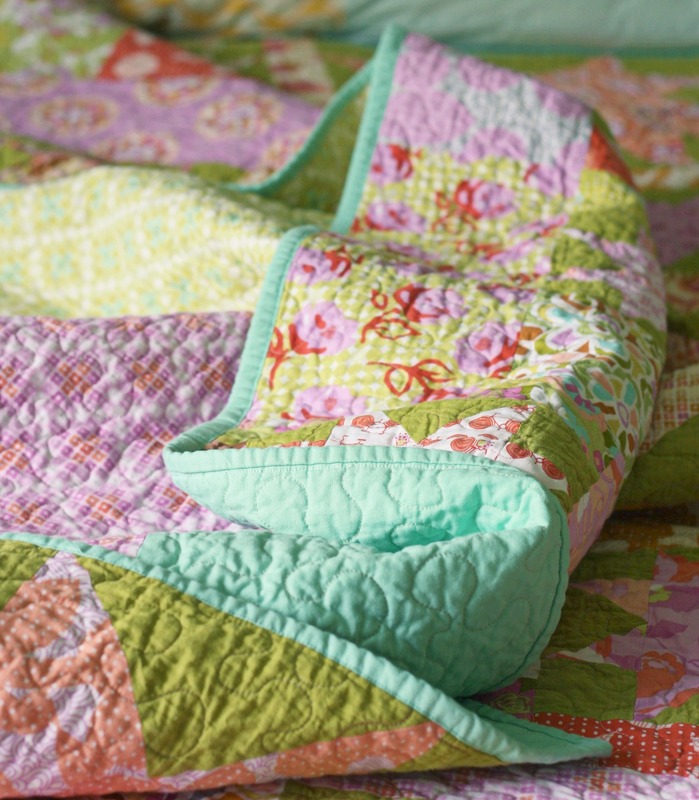 Your quilt is beautiful - what a lovely pattern and gorgeous colours! This is so beautiful! I think this is my favorite ever quilt pattern. I have a top finished that I made with my FFA1 stash, and Someday I will finish it! Your pictures and your home are beautiful! 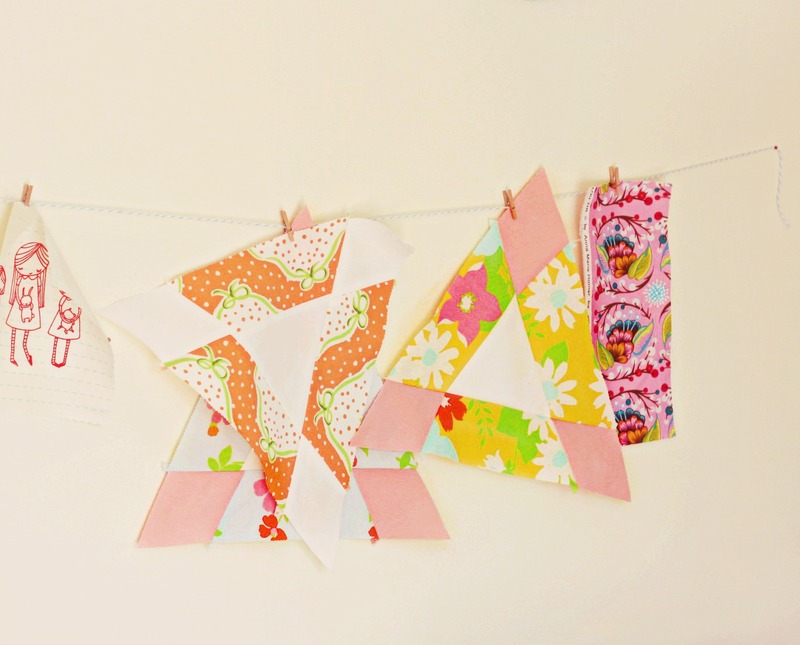 What color did you use for the backing & binding? I love stippling. I wish I could use it on everything. Your quilt looks great, and I can't wait to see the next one. ooh, hopscotch looks brilliant. I'm eager to see! Beautiful star quilt! Can't wait to see Hopscotch!! Very pretty! Don't you just love the feel of the Shot Cottons? I just bought an assortment of colors for a quilt I'm starting. Your Hopscotch quilt will be very pretty, please share when it's finished, love seeing your work! 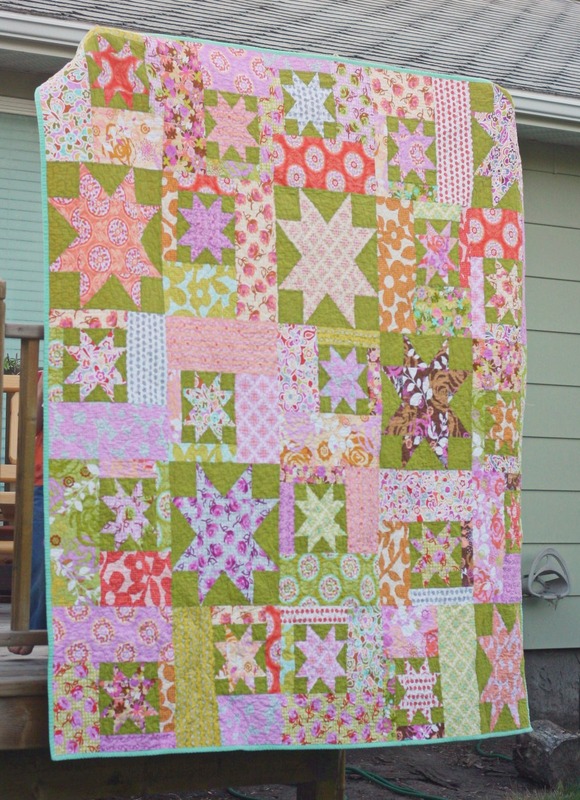 Love this star quilt, those colors are so happy!! I can't wait to see the hopscotch one! That looks like a pretty great pattern as well! 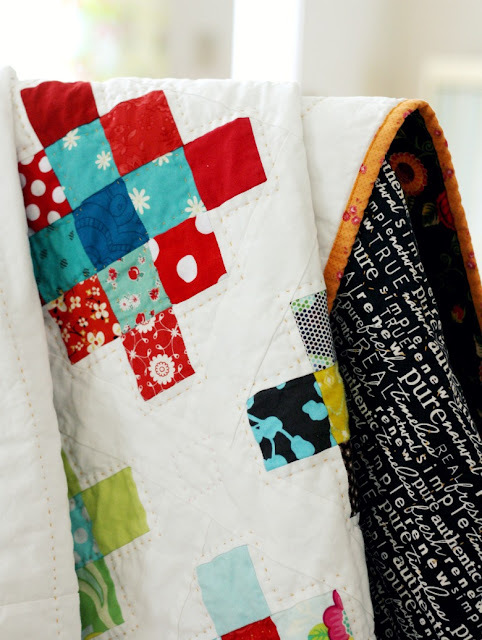 Love these quilts as usual! Love the colorful floral patchwork quilts! What is stippling that you can do on a regular sewing machine? Hopscotch and Dream on looks like the perfect combination!